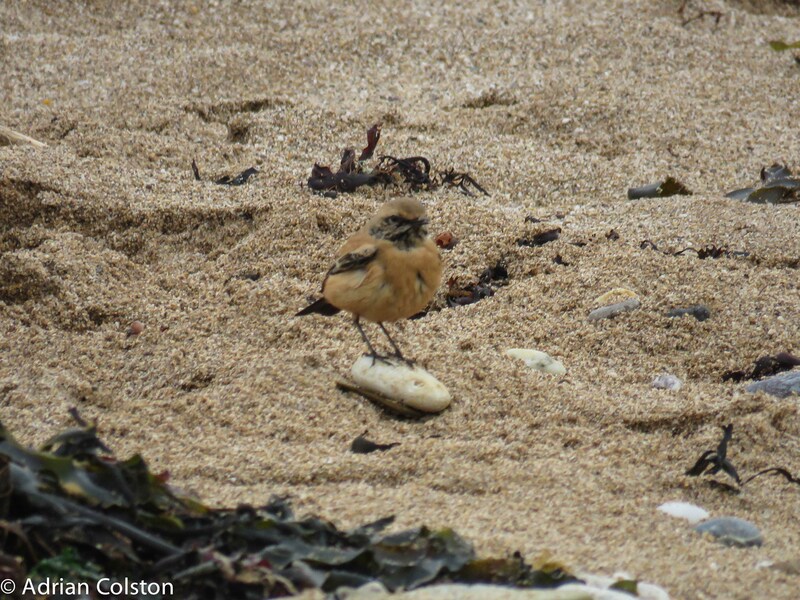 I had heard (via Birdguides) that there was a Desert Wheatear on Leasfoot Beach which adjacent to Thurlestone Golf Course close to the Club House. So I popped down at lunch time yesterday to see it. It is a very rare vagrant in Britain – the species normally breeds in the dry steppes and semi-deserts of Africa, the Middle East and Asia. The recent strong easterly winds must have blown it off course and somehow it ended up in Devon. 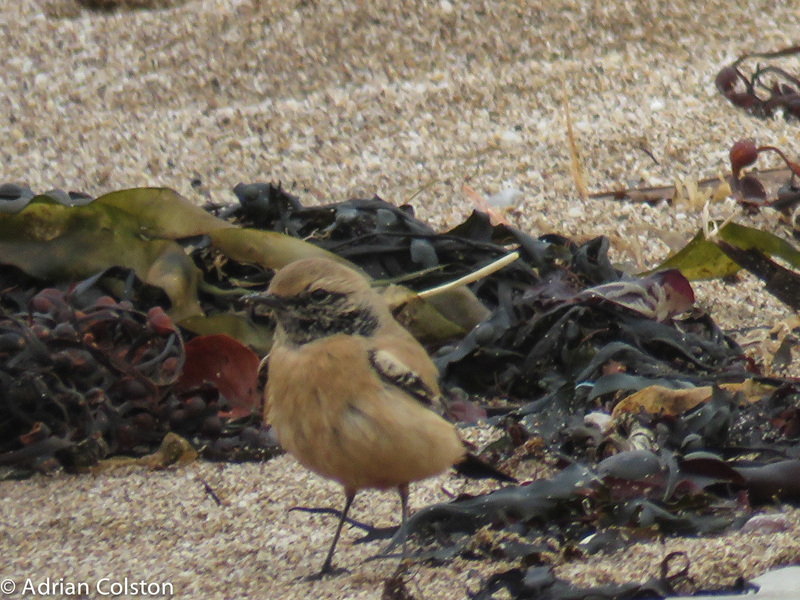 Here are a few photos of the bird – it is a 1st winter male. 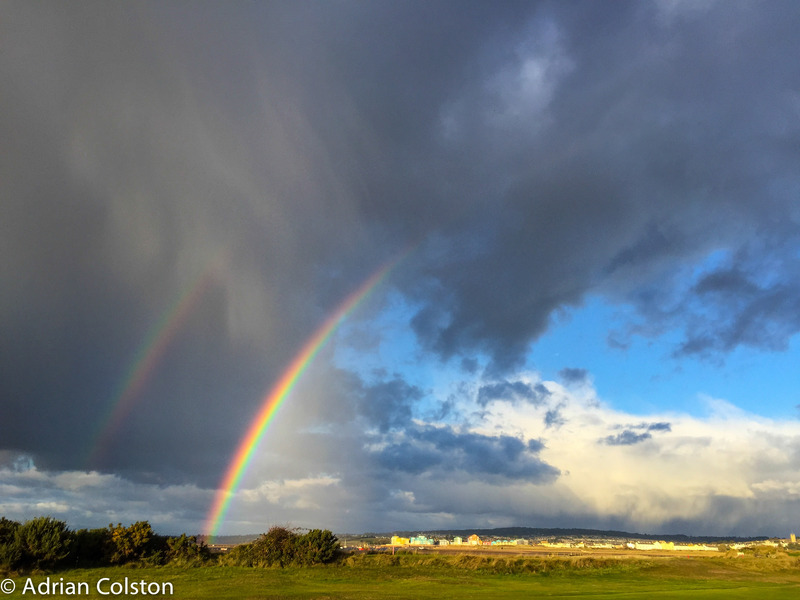 I was out on Dawlish Warren yesterday afternoon playing golf when a series a black clouds loomed overhead. We were incredibly lucky as we only got 10 minutes of light rain. 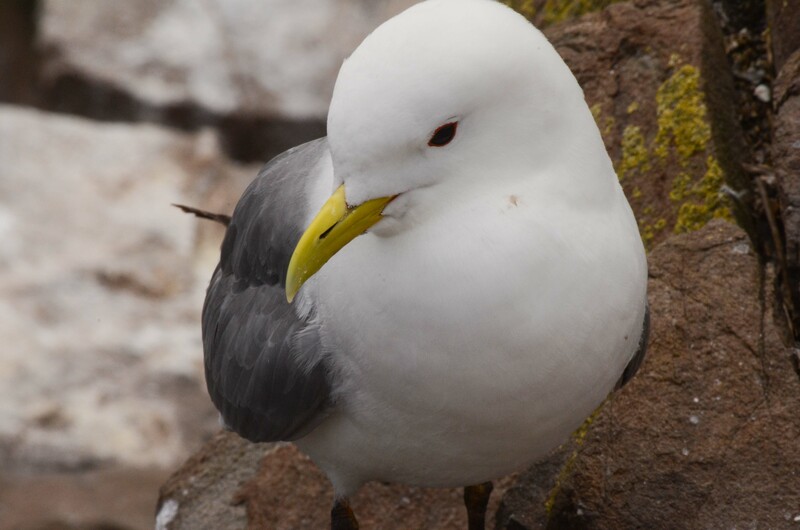 Kittiwakes are my favourite gulls – they are delicate, small gulls with a yellow bill and a red gape. The UK is home to around 8% of the global population of kittiwakes. Perhaps their most characteristic feature is their call – kitti – waak which of course defines their name. My second job early on in my career was as warden of the RSPB’s St Bee’s Head reserve in Cumbria which held a good colony of kittiwakes. Kittiwakes are however now in big trouble. Numbers fell 23% between the 1985-88 survey and the 1998-2002 one (539,645 to 415,995 pairs) and 63% declines at regularly monitored colonies between 1986 and 2014. As a result they have now been ‘red – listed’ in the most recent review of UK birds of conservation concern. The majority of large kittiwake colonies are in the north of Britain. 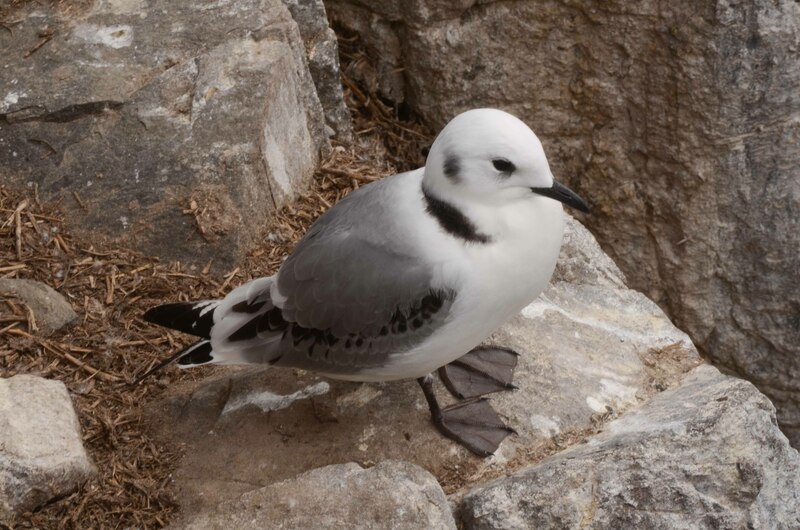 A paper has now been written which details the decline of the kittiwake in Southern Britain – it is published in the latest edition of British Birds (volume 109 pp199-210 by Thalassa McMurdo Hamilton, Andy Brown and Leigh Lock). Since the 1985-88 survey 58% of the colonies in southern Britain have been abandoned and where they have survived they have declined by 66%. These are dramatic losses and show that the species is in real trouble. 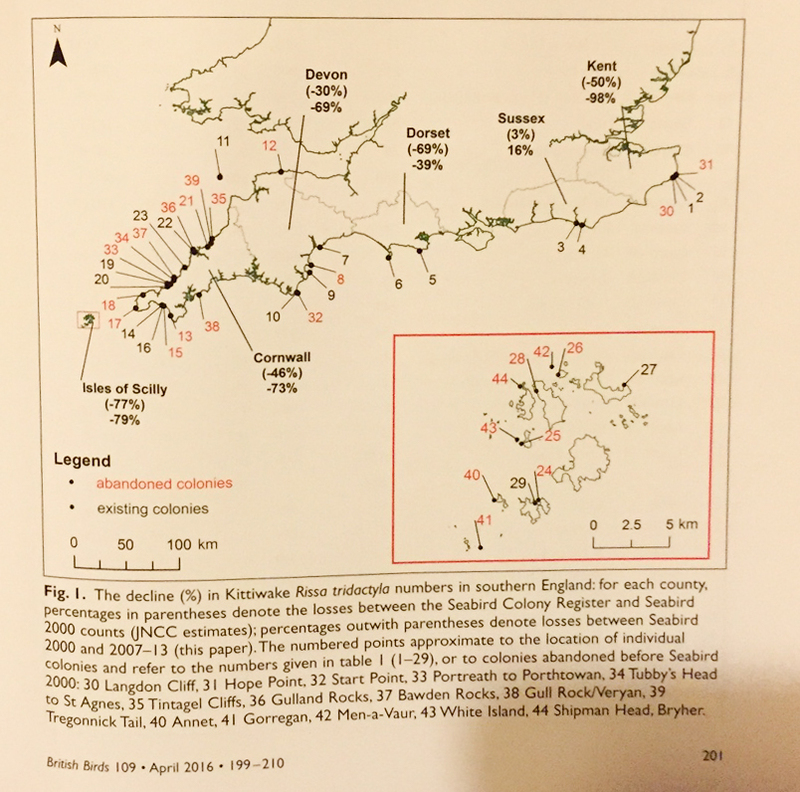 The reasons for these declines are not fully understood but appear to be linked to food availability, perhaps disturbance and predation and perhaps also to climate change (kittiwakes in southern Britain are approaching the southern edge of their global range). 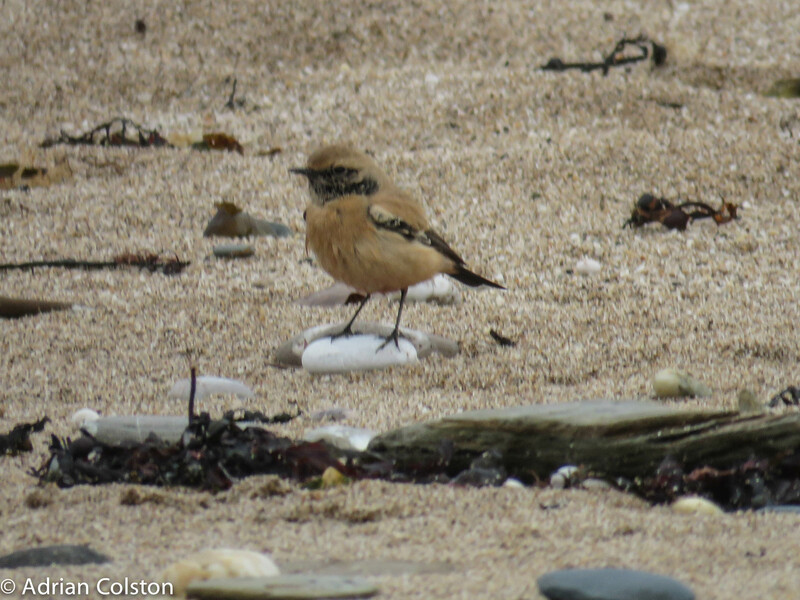 There is however one colony on the Isles of Scilly next to the Turk’s Head on St Agnes which appears to be bucking this trend and is increasing. If these declines continue the species might be virtually extinct in southern Britain within a decade. 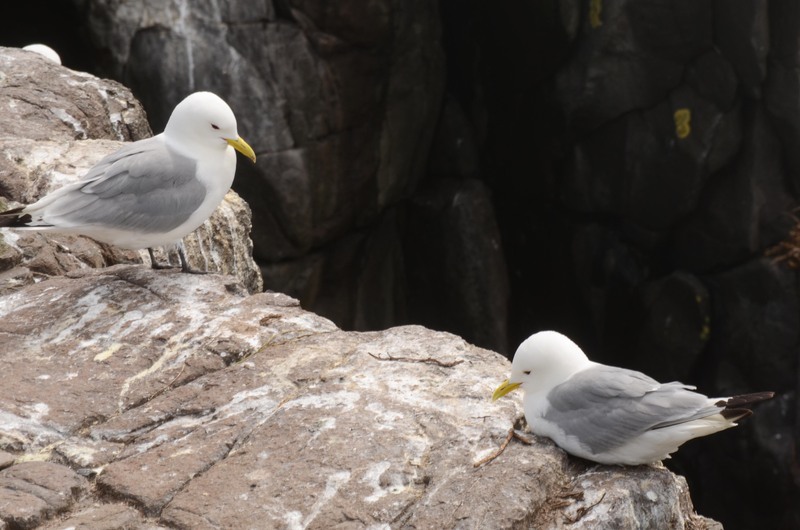 As the authors of the paper suggest more monitoring of colonies is required along with research into kittiwake productivity. 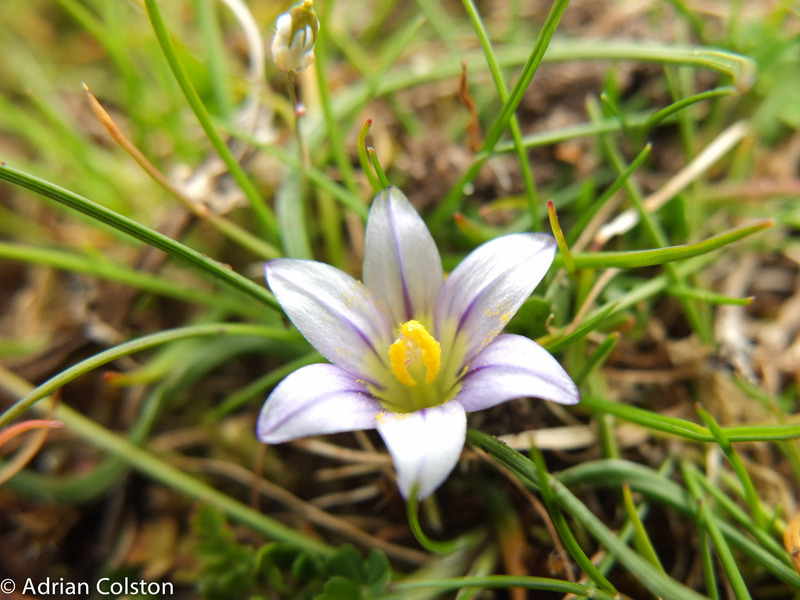 At the end of March until mid April one of Britain’s rarest plants comes into flower on Dawlish Warren – the Sand Crocus Romulea columnae. 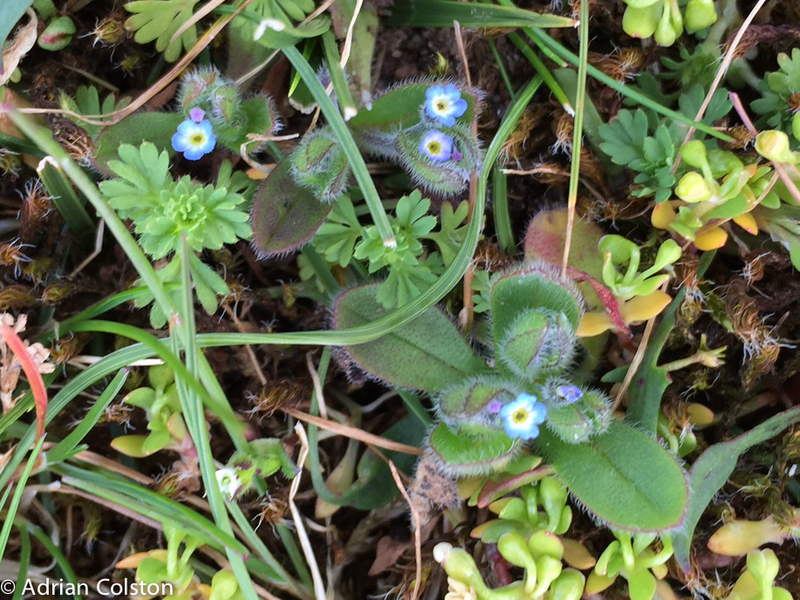 Most of the plants grow on the Warren Golf Course on the first and second holes. 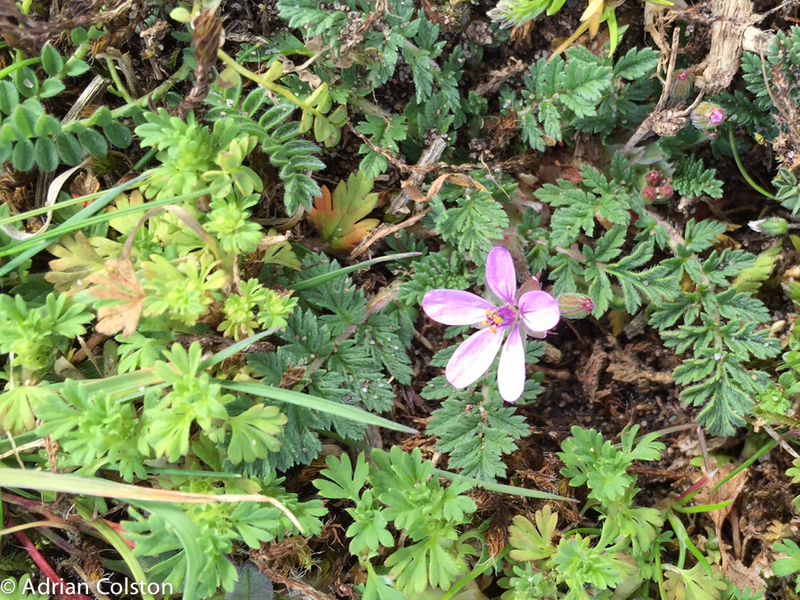 It is a tiny plant which only opens its flowers when the sun shines. 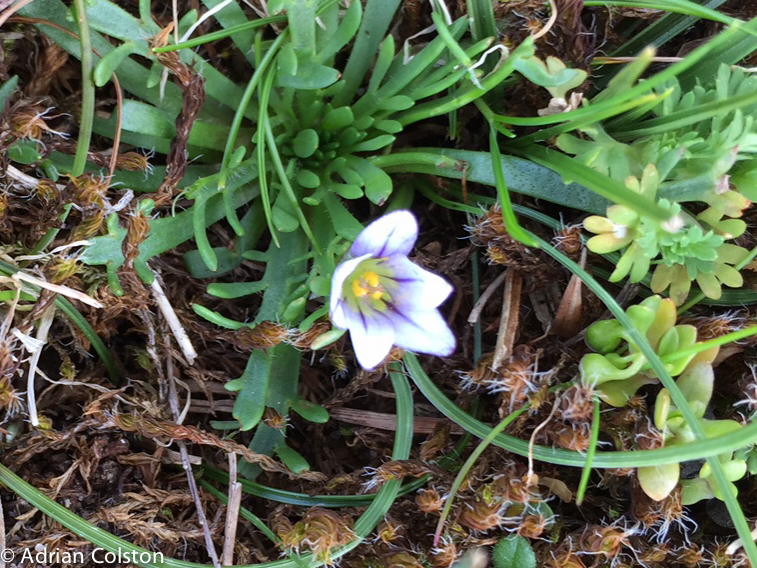 The sand crocus grows in very short species rich turf along with other plants such as this Forget-me-not, this is possibly the Early Forget-me-not but I didn’t take a specimen to confirm the identification. I was down at Dawlish Warren this afternoon – a running sea with a grey hue along with some bright and jolly beach huts. 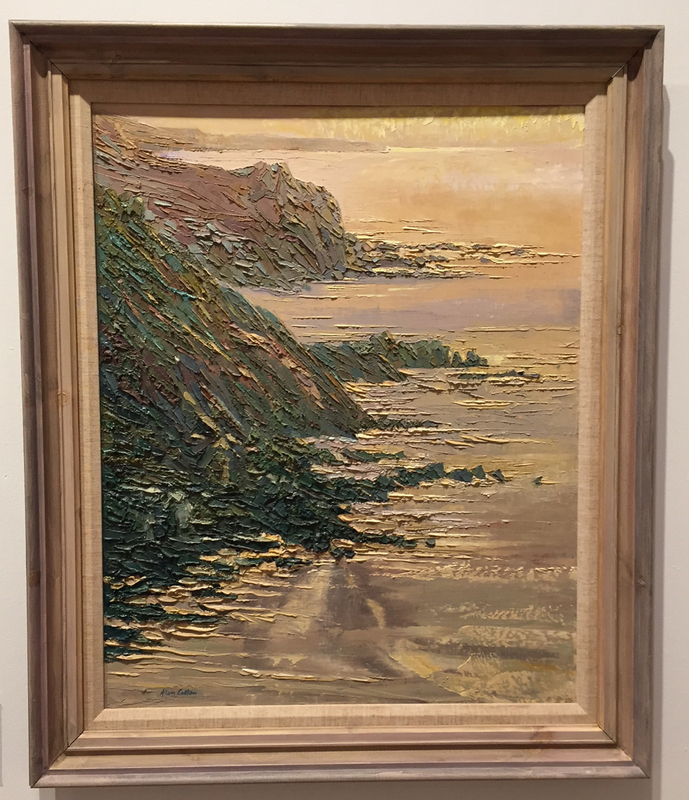 I dropped into the Royal Albert Memorial Museum (RAMM) in Exeter yesterday and had a look at the Alan Cotton exhibition. 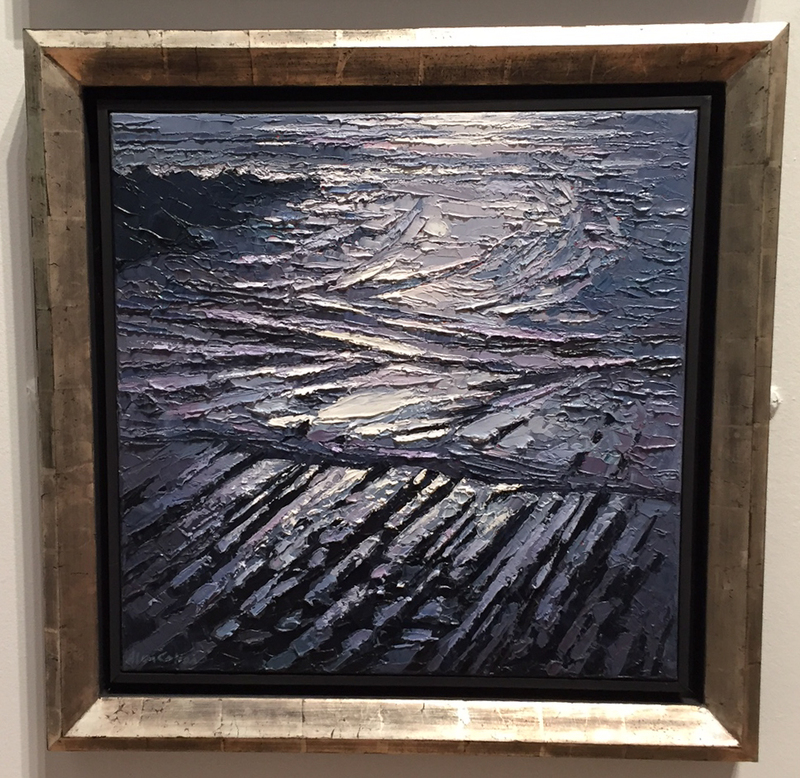 Alan is a Devon based landscape artist who’s paintings are very three dimensional. 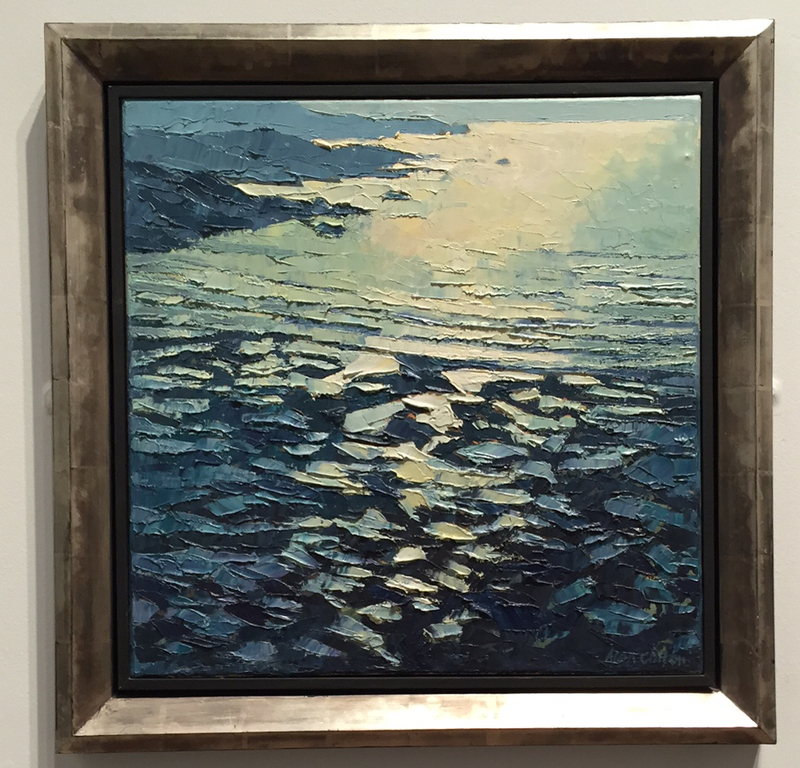 He has painted landscapes from all over the world and many are featured in this retrospective exhibition. 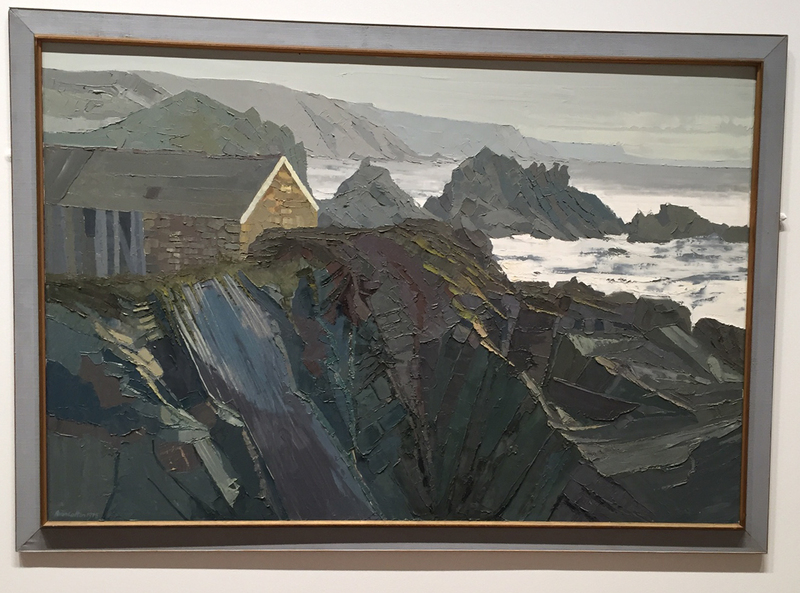 I have taken some pictures of his seascapes around Hartland in North Devon – the area where my mother was born. 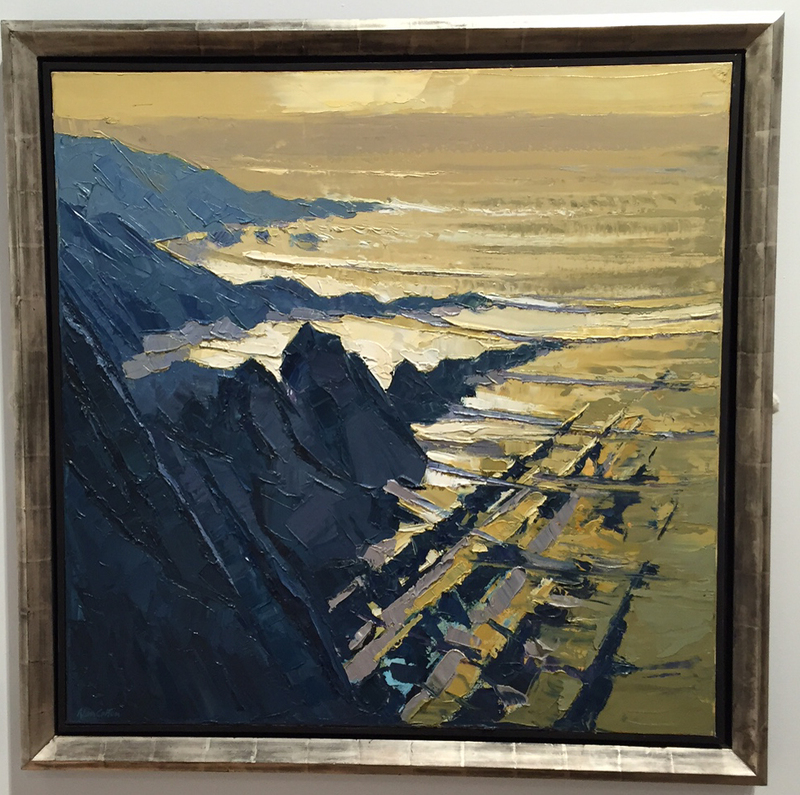 The exhibition contains over 60 paintings – from Provence, Venice, New Zealand, Cyprus, Donegal, Tibet and of course Devon and so it goes on. 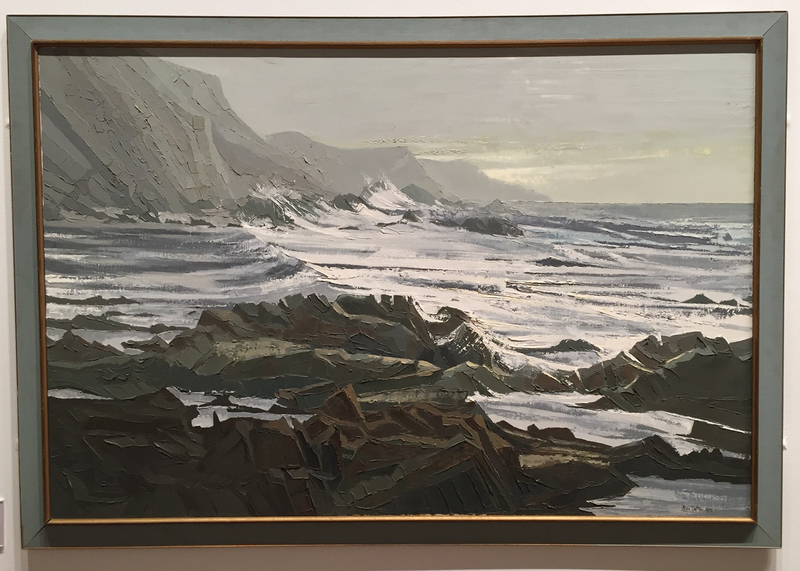 The exhibition is on at the RAMM until the 1st November. I can thoroughly recommend it and it is free! 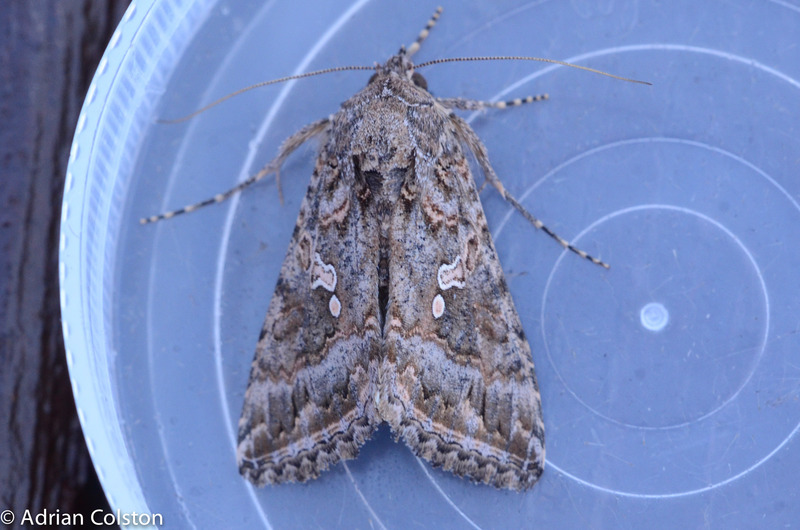 Yesterday I caught this moth in my trap in the garden in Exton. 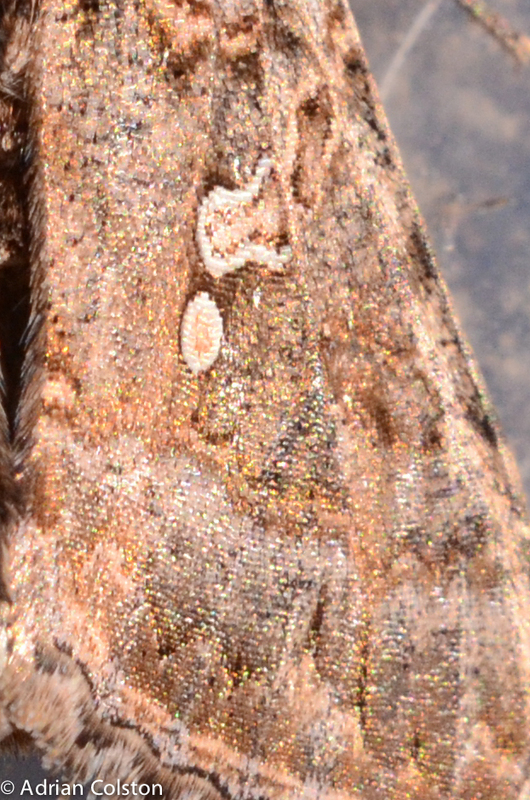 It is a Ni Moth – a species I have never seen before – it is related to the Silver Y which is a fairly common species. 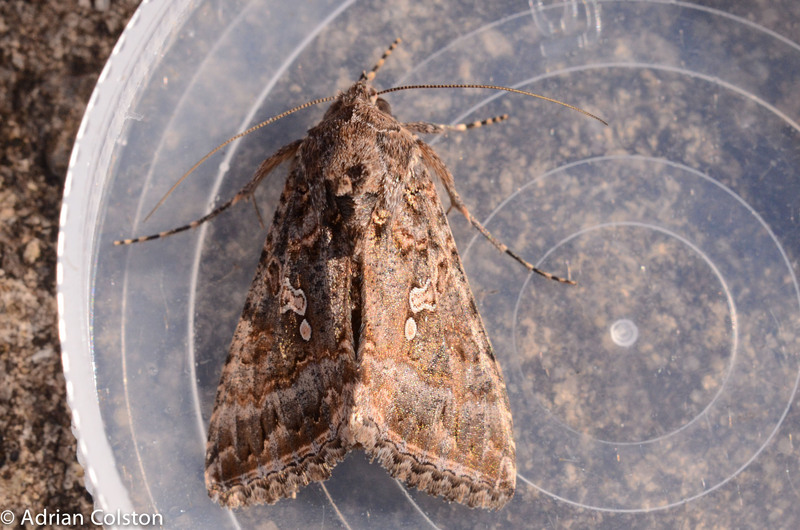 Both the Ni Moth and the Silver Y are migrants coming over to Britain on favourable winds from the Continent. The individual was released after photographing. 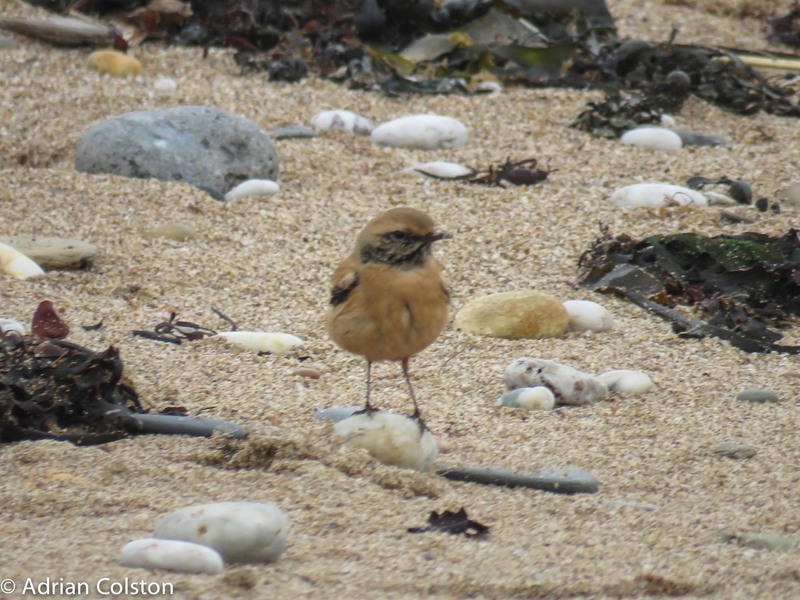 It is a very rare migrant to Devon with only a handful of records in recent years, none were recorded in 2014.